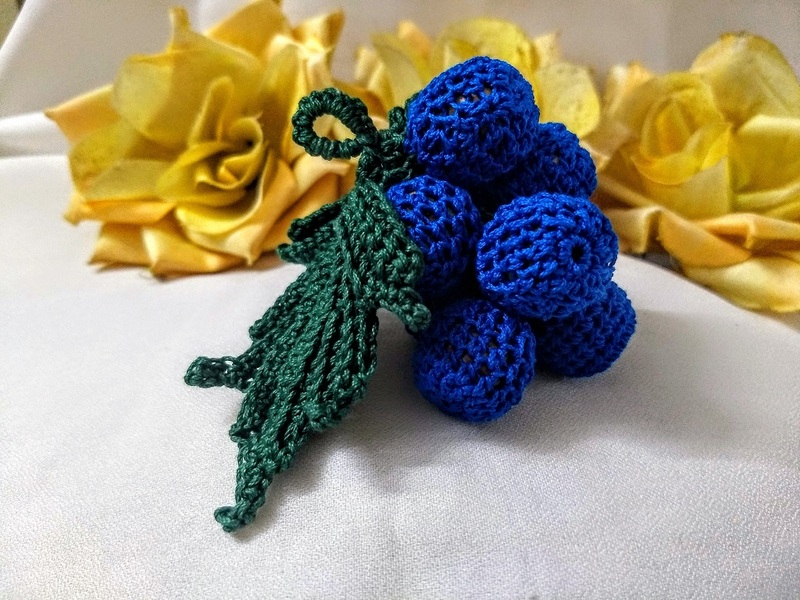 Crochet Grapes keychain was made as a customized order for a lovely friend. 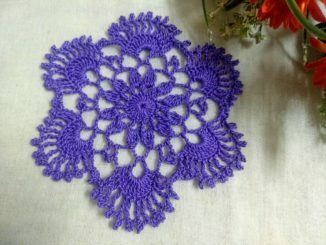 This is a free pattern, easy to make with the simple instructions; this pattern is great for leftover yarn. Prefect gift for all occasions. 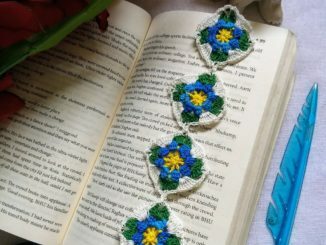 Crochet Hook Size: To crochet the flower, we used a size I.25mm crochet hook. The keychain measures about 5” inches in size. Hdc in each stitch. (21), Insert the wooden bead. Using the Tapestry needle weave the ends. Make 10 beads. For the Grape Bunch Leaf. Make a chain of 22 chain stitches. Chain 1 and work a sc through the second st away from the hook. Make a sc through each of the stitches of the foundation chain. This round has 22 sc. To begin the round turn the work, making a turning chain, sc through the next stitch working in the back loop. Continue sc in the row working in back loop, leaving 3 sc of the round 1. Turn the work, skip the first sc, work in the back loops, sc 2 together to decrease, single crochet 8 in the row (back loop). Make 1 turning chain, skip the next, sc 6 in the row working in back loop. Turn the work with a turning chain, skip the first chain away from the hook and sc through the next, then sc 7 in the row working in back loops. Single crochet 3 in a row moving 2 rows down, working in back loop. Make 1 turning chain, skip the first stitch on pervious row and continue with 8 sc in a row, working in the back loop. Make a turning chain, sc 3 together to decrease, then sc 6 in the row, working in back loop. Sc 3 in a row working through the left stitches on Round 2. Make a turning ch, skip the 1st sc and 6 sc in the row working in the back loop. Leave the remaining 3 sc. Chain 4, sc through the 2nd stitch away from the hook, sc in the next 2 chain stitches. Work in back loop of sc. Sc 8 in the row, move down to the row and sc in back loop of the next sc, sc through the chain stitch. Make a turning chain, skip the first st and sc 8 in row, working in the back loop. Leave the remaining 3 sc. 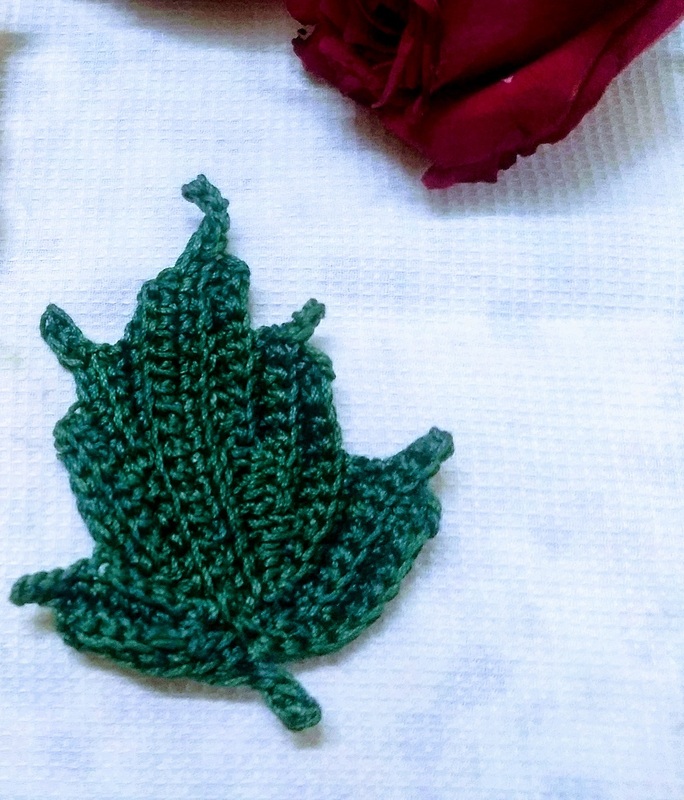 One side of the leaf is ready. To continue with the other half of the leaf, make 2 sc through the side stitch on the bottom of the leaf. 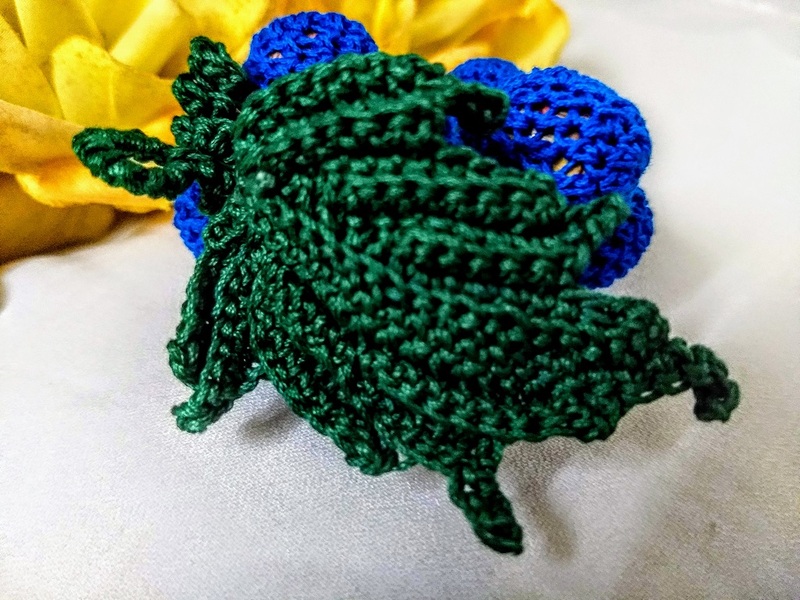 Make a sc on the foundation chain, continue with single crochet till there are 5 stitches left on the foundation chain. Repeat from Round 3 – 11 to complete the other half of the leaf. Chain 8, sl st to form a loop; sc 10 in the loop, ch2 join the leaf, ch2 join the beads, repeat till all the beads are assembled to form a bunch. Attach the key holder, and the keychain is ready. 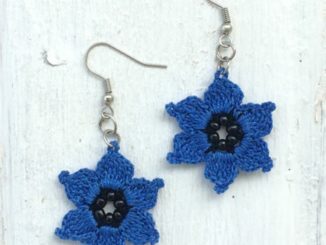 What Can You Do With Crochet Grapes Bunch? Make them into brooches, attach them to hats, bags, hair slides, cardigans. Can be used as Fridge magnets. Stitch them to crochet triangles to make some pretty rosy bunting. Glue them to a twiggy wreath to make a gorgeous decoration for your home.